You have a baby…in a bar! All you Sweet Home Alabama fans know what I’m talking about. And those who don’t, just CLICK HERE. 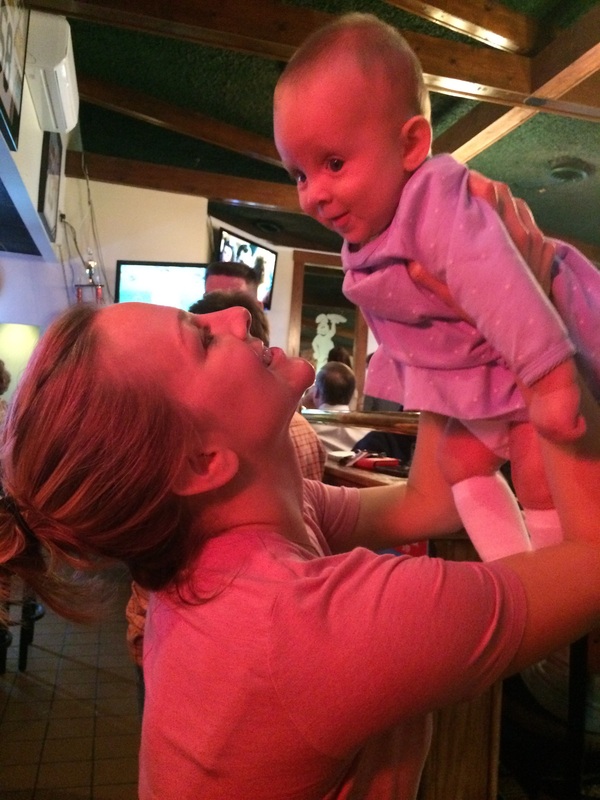 My niece Lily charmed everyone in the bar at Monte Cello’s as we celebrated Mama Kelly’s birthday. 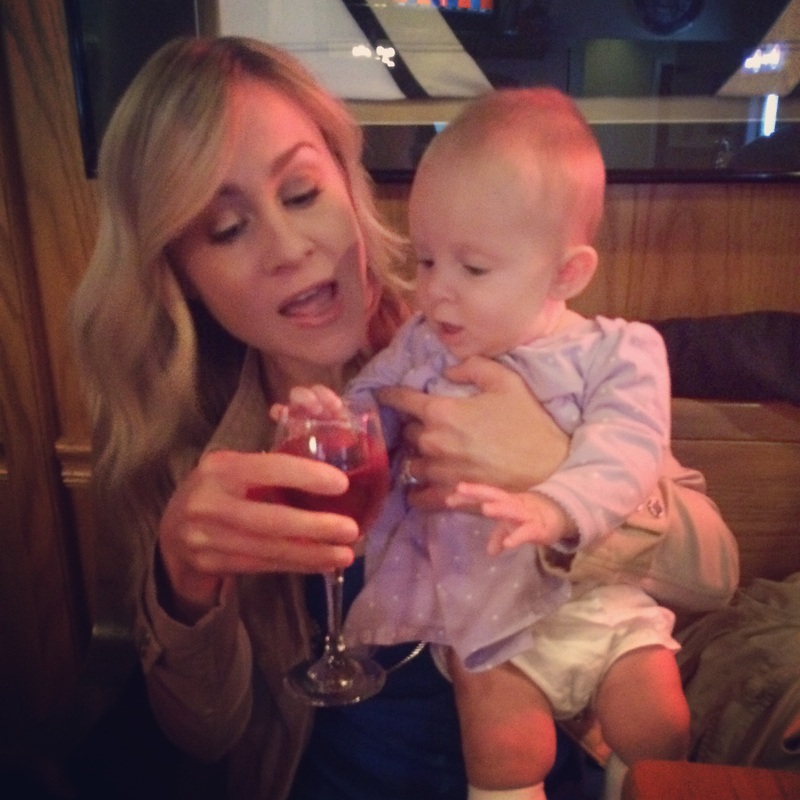 Lily made a grab for my rosé…babygirl knows what’s up. 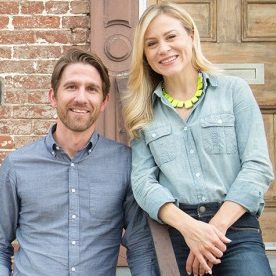 Kelly lost all her baby weight (and then some) and was rocking crop tops just 3 months after Lily was born. 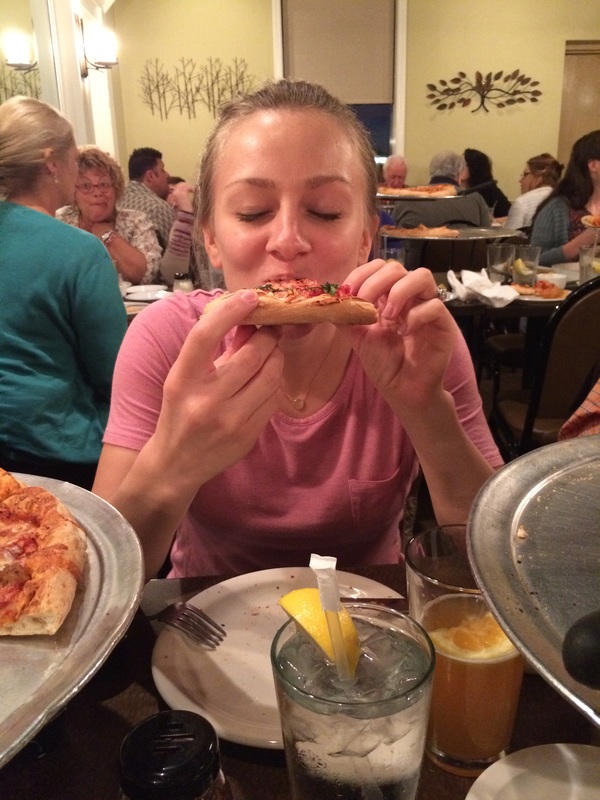 After eating salads and rice cakes and air, all Kelly wanted for her birthday was pizza and Blue Moon. 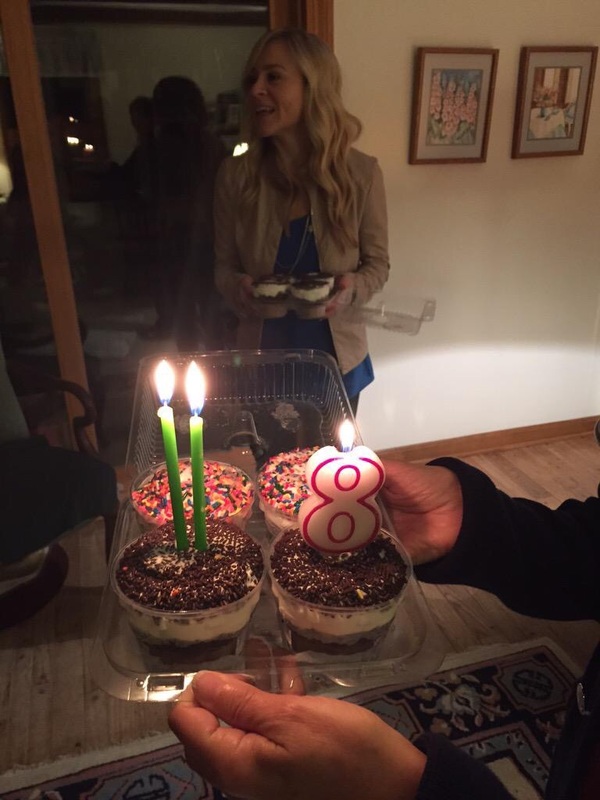 Because we are not fancy (re: lazy), we returned to my parents’ house for individual Dairy Queen cakes and this ridiculous candle combination my mom made. Happy 28th birthday Kelly! 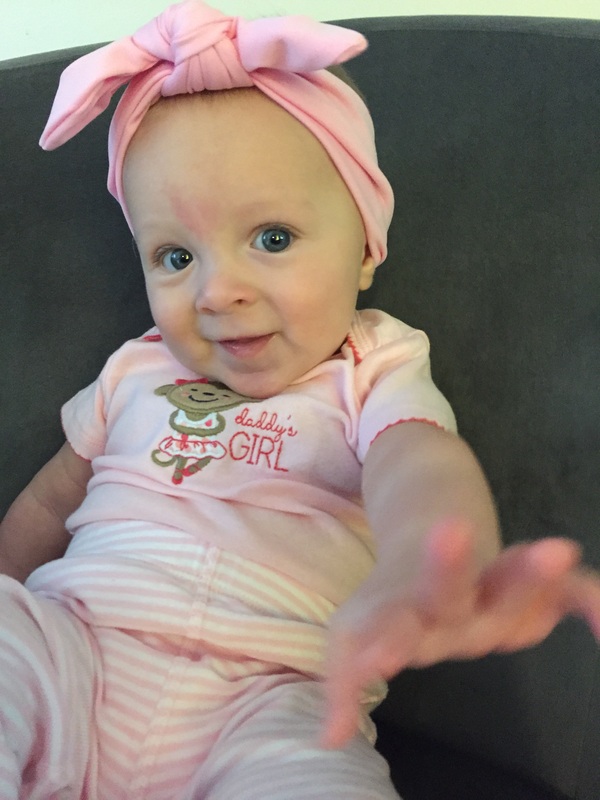 It’s hard to get you a gift when you already gave yourself the cutest gift on the planet.